Our modern world is filled with screens: televisions, tablets, computers and mobile devices. As a result, children spend more time than ever before with these devices. We’ve written before about the downside of screen-time for small children and for the importance of moderation when it comes to technology. This week, a new, large study describes the upside of educational television. Economists from Wellesley College and the University of Maryland used information about television signals in the 1960s to examine the differences in access to Sesame Street among preschool children. They found that young children with greater access to the show were more likely to be working at the grade level appropriate for their age. Boys and black, non-Hispanic children experienced the largest benefits from watching the program. Living in an area with strong television reception for Sesame Street reduced the likelihood of falling behind academically by 16 percent for boys and by 13.7 percent for black children. While the study certainly applies to modern society, it’s important to note there was far less programming for children when Sesame Street began in 1969. 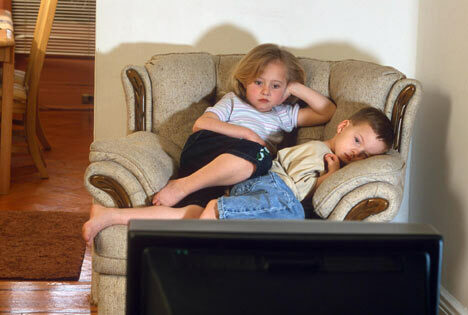 So children who watched television were most likely to view it. Today, the wide variety of options can lead children and parents to chose shows with less educational value. The take-home message: Television can provide an important educational benefit to children, provided they are watching an educational show. Does youtube count as education too? My kids learn a lot from all the science-channels on there!